Scotty Gosson wrote not “just another book”. He actually fulfilled a long lasting dream, and wrote a book about the Wild Show Rods that changed his youth, back in the late 1960’s and early 1970’s. From start to finish, the passion of the author is almost palpable. Reading “America’s Wildest Show Rods of the 1960s & 1970s”, gives you the sense that there’s a narrator, who’s watching from over your shoulder, giving expert comment while you flip through the book. 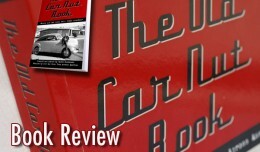 The comments made by the BORE, the so-called Board of Royal Experts, are personal observations or experiences with the cars. It gives the book a special personal touch. 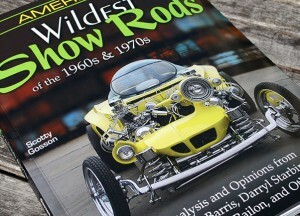 The show rods from the 1970’s, in particular, bring me back to my model car builder years. In the Seventies in the Netherlands, – where I live – there was nothing like these outrageous Show Rods. I had no idea what I was looking at in the latest Monogram and Revell catalogs, from the early 1980’s. But that did not stop me from loving them all, and I bought several of those plastic kits, including the Boothhill Express, the Li’l Coffin and the Beatnik Bandit. I could only imagine what these cars would look like in real life. 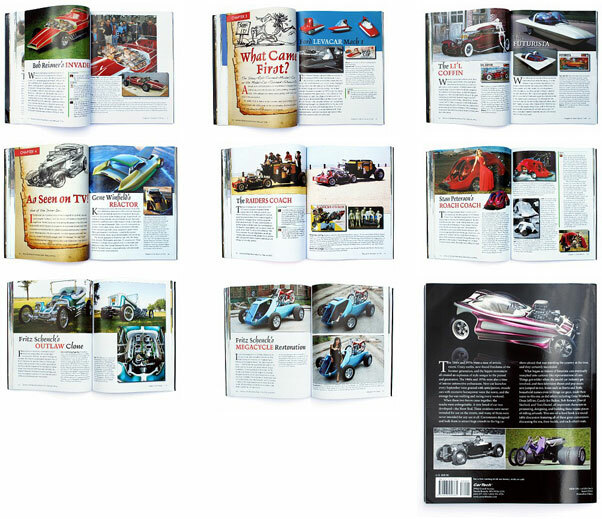 At the time, I had no access to custom car and hot rod magazines, so this was all new to me. 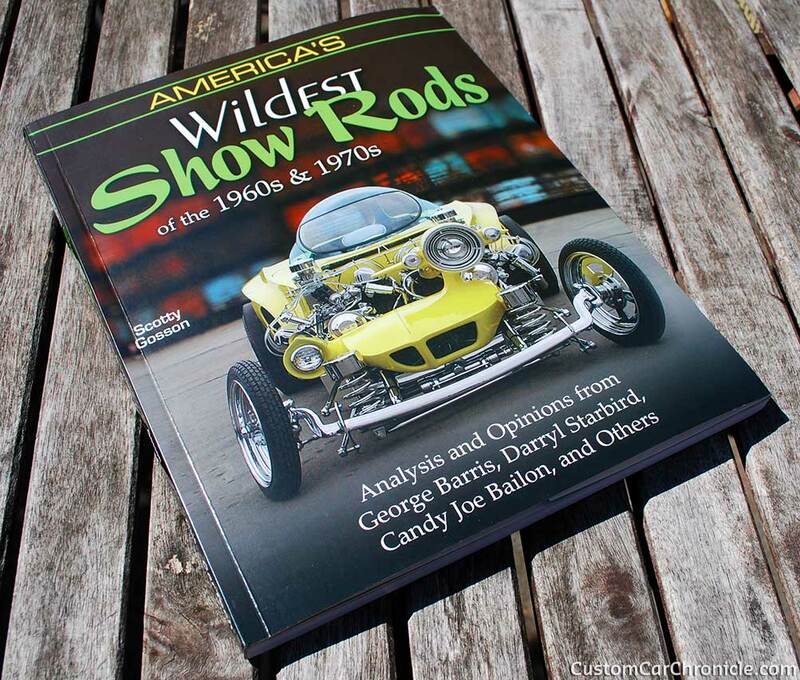 With “America’s Wildest Show Rods of the 1960s & 1970s”, Scotty Gosson has brought back all these amazing, wild show rods in one place for us to look at, study, and get inspired by. The book shows a nice selection of period and new photo material. Although I feel that the period material could have been extended a bit more, and those photos could be shown a bit larger in general. But I assume, there is always a battle between the written info, the photo material on a subject car, and the amount of dedicated space in the book. There are three forwards, one by Ed Newton, one by Bob Larivee and one by Dan Woods. Three hero’s who probably had a great time during the production of this book. Most certainly, it brought back many memories to them. Overall this is an very nice book, with lots of photos and info on a subject that is often overlooked. 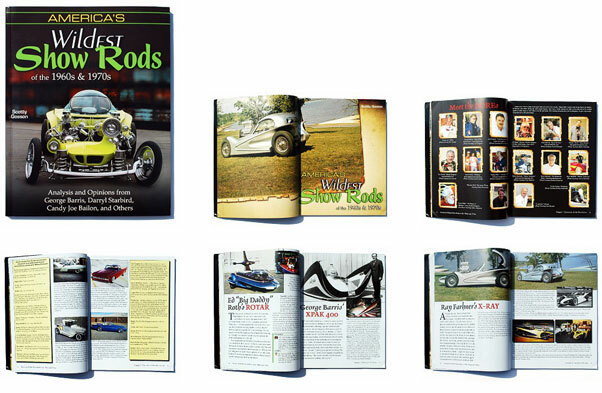 Show Rods have been an important part of the Hot Rod and Custom Car culture. It was arguably the most extreme period of the scene. And the model car companies involved drew the youth into the car culture. 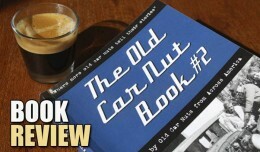 I can only highly recommended this book, especially if you saw these cars at car shows, or perhaps – like I did – built them as plastic model kits. The book provides a lot of new info never before published with a lot of nice behind the scenes stories. Actually, this book could have had a double amount of pages, with at least four pages for each Show Rod. 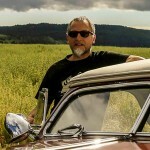 Especially for the original cars from the 60’s and the 70’s. In some cases, I miss some period photos and info. The Dan Wood’s Milk Truck, for instance, has a two page feature, with four photos. But none show the truck with the original Larry Watson paint job. I know this was done because space was limited, and choices had to be taken. A book with double the amount of pages would also cost about double the price. So, I guess in the end, the book as it is, is the best you can get for a very good price of $29.95.